For some people, getting themselves out of bed can be a challenge, leading to decreased independence and increased staff handling time. 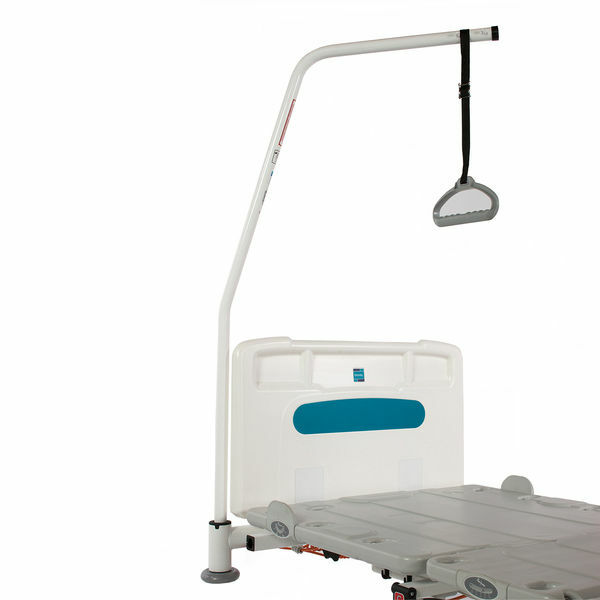 The Lifting Pole for Sidhil Innov8 Beds is an ideal way of providing an added element of support, helping users to balance and support themselves when rising. Consisting of a shaped pole attached to an ergonomically designed moulded handle, this pole is designed to make rising and lying down as simple as possible. When patients require assistance every time they enter, exit or move around in their bed, it can reduce staff efficacy by increasingly handling time, while decreasing the independence of the patient which may hurt their recovery. This simple Lifting Pole can help to solve both problems, allowing patients to move themselves without assistance. Please be advised that the Lifting Pole for Sidhil Innov8 Beds is usually delivered within 1 week of your order being placed. We would advise you to consider this delivery estimation before placing your order. For more information, please contact our Customer Care Team at 020 7501 0592.